The latest member of Pauline van Dongen's "Wearable Solar" family works with rather than against the elements. 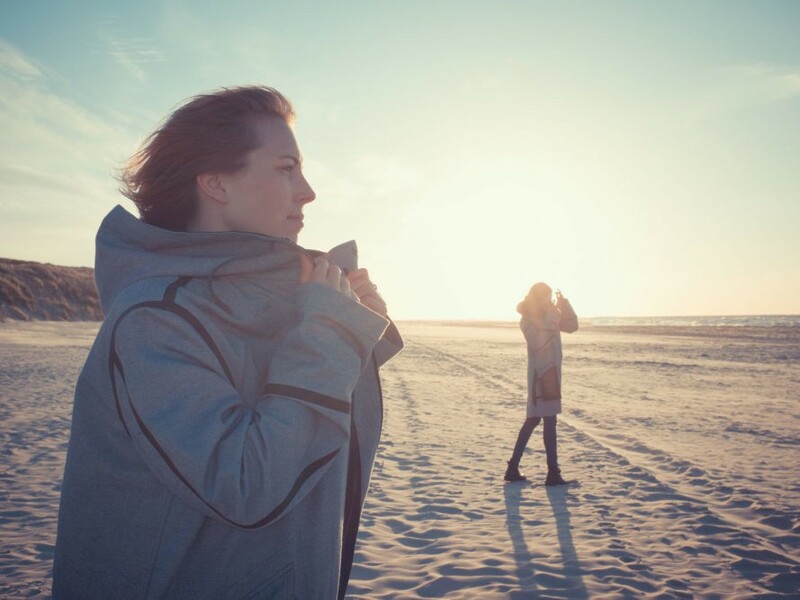 Created by the Dutch designer in collaboration with the Waddenvereniging, also known as the Wadden Sea Society, the "Solar Parka provides "shelter, comfort, and off-grid renewable energy" to the "Wad Walkers" who conduct tours of the area's tidal flats and wetlands. "At low tide, the Wadden Sea Society organizes guided tours on the bottom of the sea, introducing people to the vegetation and animal life of the area," van Dongen explains. The jacket incorporates a single thin, flexible, and waterproof solar panel on one of its front pockets. Manufactured by AltaDevices, the photovoltaic cells generate enough energy to fully charge a smartphone in about two hours of sun. When not in use, the solar panel can be unbuttoned and stowed away behind a zip pocket on the side of the coat. Unisex and one-size-fits-most, the parka itself comprises Blue Loop Originals’ signature recycled denim, derived from secondhand jeans. Another plus? The textile has been crafted with the closed-loop economy in mind, with fibers that can be unraveled using specialized machines. The jacket incorporates a single thin, flexible, and waterproof solar panel on one of its front pockets. Manufactured by AltaDevices, the photovoltaic cells generate enough energy to fully charge a smartphone in about two hours of sun. 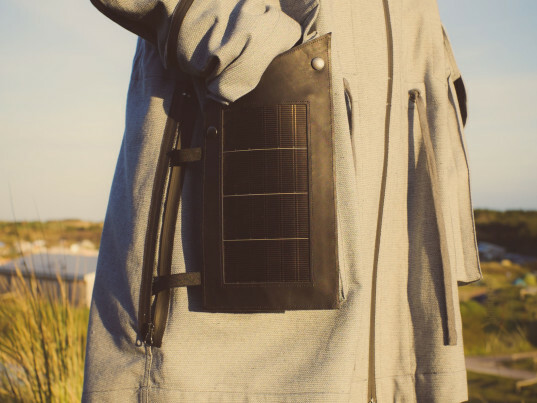 When not in use, the solar panel can be unbuttoned and stowed away behind a zip pocket on the side of the coat. Unisex and one-size-fits-most, the parka itself comprises Blue Loop Originals' signature recycled denim, derived from secondhand jeans. Another plus? The textile has been crafted with the closed-loop economy in mind, with fibers that can be unraveled using specialized machines. "The design thrives when surrounded by nature’s elements: sun, wind, and, yes, even water," van Dongen says in a statement. "We’ve created this new design with great pleasure since we admire the Wadden Sea Society for their work in the UNESCO-World Heritage nature reserve and got inspired by the beautiful and unique area they operate in."